Many Hudson Valley residents have roots in Brooklyn, but few can show extensive family history from both Montauk and Brooklyn. Until now! Chef Angelo Monte, “Chip”, was the culinary artist behind Montauk’s famous Gurney’s restaurants for decades. 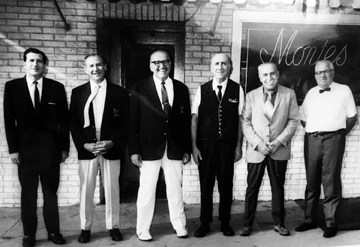 The Montes owned and operated both the iconic Monte’s Venetian Room (home of New York City’s undisputed best cheesecake) since 1906 in Carroll Gardens, Brooklyn and Gurney’s Inn Resort & Spa on the ocean on Old Montauk Hwy. since 1956. Chef Angelo (Chip) literally cut his teeth in the kitchens of both establishments learning the ways of true old school Italian cuisine. 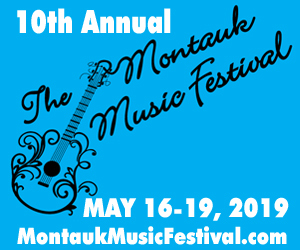 From the days of sawdust on the floors in Brooklyn, to the wide, white sandy beaches of Montauk, the Monte Family has lived and worked through every important local, national, and international event including the Great Depression, Prohibition, two World Wars, the Hippy Generation/British Invasion, the man on the moon and so many more memorable events. So many challenges and special circumstances called for special solutions and sacrifices making survival difficult at times. Through it all the Monte Family epitomized gracious hospitality – their flexible management style rolling with the ever-changing times of a tumultuous world. Today, the Montes have reinvented themselves in the Hudson Valley of New York with the advent of Monte’s Local Kitchen & Tap Room in Amenia, NY when Ann Marie Pallan, one of the third generation siblings, found a location there that so closely resembled the original Monte’s building in Brooklyn. Ann Marie was so taken aback that she immediately called her brothers and sisters to come up to the Hudson Valley to see for themselves. Shortly thereafter, the seeds were sown for the birth of a new entity to be called Monte’s Local Kitchen & Tap Room. The seasoned gourmet has now taken on the role of Head Chef at Monte’s Local Kitchen and Tap Room in Amenia. He brings with him not only his over a century old family tradition of classic Italian fare but additionally the knowledge of how to keep his customers happy. Angelo (lovingly known as Chip) and his wife, Candice have now taken over the management of Monte’s. Although they will be sorely missed in Montauk, the family realized that without the “on site” management, the restaurant could never keep up that gracious hospitality that has been the trademark of the Monte family. 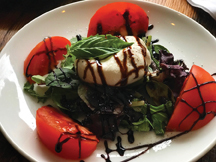 Under Chef Angelo’s direction Monte’s Local Kitchen will retain their farm to table favorites while adding an authentic Italian twist to the eclectic menu. Picturesque Dutchess County is packed with organic farms and gardens, offering healthy produce and dairy on small farms everywhere. 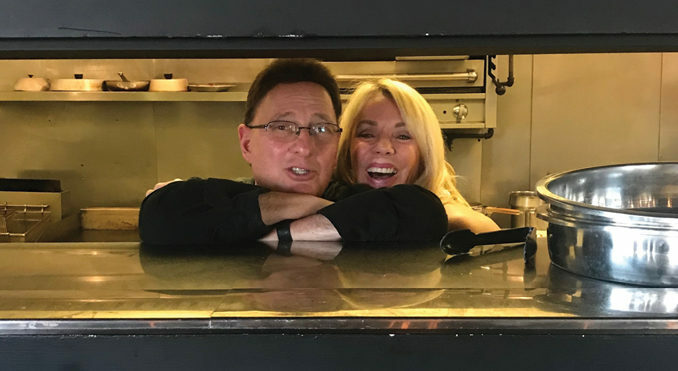 Along with the new offerings, Monte’s Local Kitchen recently underwent a renovation to the space’s interior by Chip’s wife, Candice Monte. A sleek fireplace gives off an inviting glow where guests can lounge in comfy wingback chairs while they sip on locally inspired cocktails. The atmosphere is in typical Monte style more “sit and visit awhile” compared to the usual “get in and get out” vibe many restaurants emanate. 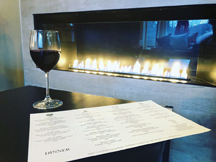 While all of Monte’s favorites remain on the menu like the Hudson Valley Kale Salad and the RST All American Burger, guests will be delighted to find some old world offerings. Chef Angelo creates his own signature tomato sauce and uses only locally produced Vinny’s Deli Mozzarella Cheese. Monte’s classic Meatballs appear as both an appetizer and main dish while Veal Parmigiana and the Seafood Cioppino, which is one of my favorites. 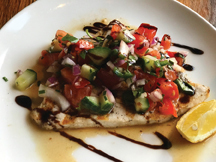 Monte’s Local Kitchen and Tap Room is located at 3330 Route 343 in the heart of downtown Amenia, only half an hour drive from Poughkeepsie. Reservations are not necessary but are recommended. If you are planning a trip, log on to the web address above to see where you might stay overnight with some of our local supporting friends. 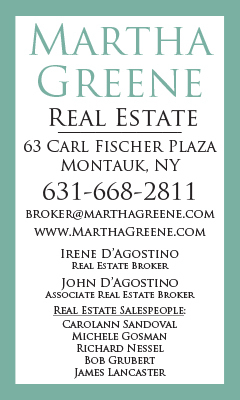 Phyllis and John, Paul and Venus and Teresa and Angelo make frequent “celebrity” appearances, you will surely find one if the Montes there to greet you! Until next from another interesting location.